Flora Belle Buckman, the comic-reading cynic, rescues a squirrel after an accident in the neighbor’s backyard involving a seemingly possessed super-suction, multi-terrain 2000X vacuum cleaner. The altercation leaves the squirrel, later named Ulysses, with astonishing powers of strength, flight, and a poetic awakening. The story tells of the summer adventures had by these two in attempting to prove the special powers of Ulysses, while also touching on such topics as divorce, step-parent relations, and children’s fears of abandonment. I found this type of fantasy to have an interesting approach to how a young girl deals with the strange and sometimes difficult circumstances of her life, in particular those dictated by the adults around her. This fantasy tale includes a typewriting superhero squirrel, a nerdy and needy neighbor kid named William Spiver, and a young girl who in times of trouble seeks guidance from her one source of truth and justice, the comic book The Illuminated Adventures of the Amazing Incandesto! This book was a fun read. There are sections where the narrative goes into comic book style, with the verbiage sounding much like a superhero adventure story. It includes terms such as “Holy unanticipated occurrences!” and, ever so popular with both Flora and her father, “Holy bagumba!” The illustrations support this comic style by including some pages with comic book block storyline sequences and inner monologues of the squirrel in “super hero” mode. Flora makes many references to the Incandesto comic book, in particular the answer to all dilemmas section, TERRIBLE THINGS CAN HAPPEN TO YOU. I found it interesting how the main character, Flora, being the cynic she was, was able to rationalize the events of the moment by comparing them to the adventures of Incandesto, and thus her actions made perfect sense—at least to her. Recommended for readers ages 8-12. Check the WRL catalog for Flora and Ulysses. Laura and I have been exploring different types of heroes this week. Today’s selection features Ivan, a silverback gorilla. I saw a new book in the library the other day – Ivan: The Remarkable True Story of the Shopping Mall Gorilla by Katherine Applegate. 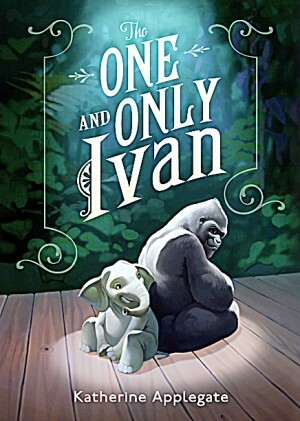 While flipping through the colorful picture book, I was reminded of how much I had enjoyed Applegate’s Newberry winner, The One and Only Ivan. Ivan is one of the animal attractions at the Exit 8 Big Top Mall and Video Arcade. In fact, he is one of the featured attractions on the billboard that he can see outside the window of his small enclosure. He spends his time watching TV; talking with his friends Bob, a stray dog, and Stella, an older elephant; and painting pictures. Ivan chooses not to remember what life was like prior to coming to the shopping mall. When the shopping mall owner buys a younger elephant to bring excitement – and more paying customers – to the Big Top Show, Ivan makes a promise to Stella to help Ruby find a safe place to grow up. That promise leads Ivan to remember what it was like before he was caught and put in the cage. That promise leads Ivan to figure out a creative way to send a message to the Julia and George, the humans he trusts. That promise leads not only to Ruby finding a good home in a zoo, but Ivan finding a home with other gorillas and lots of open sky. The story is told in simple sentences through the unique perspective of Ivan. Of course, the story is the author’s imaging of what Ivan was thinking and going through, but I forgot that part as I rooted for Ivan’s friends to understand what he was trying to say. Publisher’s Weekly recommends the title for ages 8-12. But I think it was well worth taking an hour or so to read the story. It is also available as an audiobook, well-read by Adam Grupper, if you would prefer that format. As I wrote about last year at this time, many readers first come to stories of the uncanny in their youth. 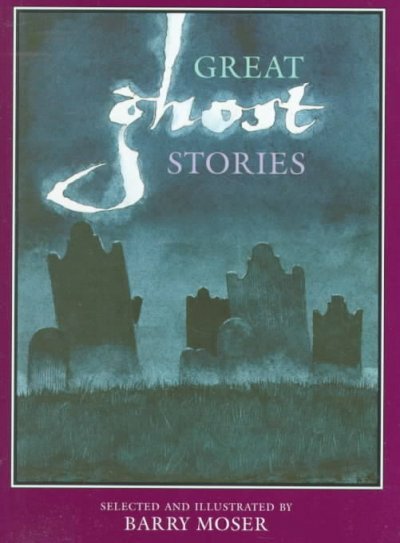 In browsing the catalog for a collection of ghost stories for younger readers, I came across this delightful anthology compiled by Barry Moser. Moser is an noted artist, especially at printmaking and woodcuts, and his work graces the pages here. He also clearly has an ear for a good ghost story. None of the stories here is overly scary (well, maybe “The Monkey’s Paw” is for me), and a couple of them are pretty mild as far as ghost stories go by modern standards. But they are fun stories to read, and perhaps to read aloud. Moser’s illustrations add an extra frisson to the general eeriness. Bo Whaley lives on an Air Force base in North Carolina. His father is the base commander, which just makes life complicated, especially when most of the kids in his class also live on base. To make life even more convoluted, his cousin Gari arrives from Seattle to live with him because her mother is being deployed to Iraq. They are assigned to the same class to help Gari fit in, but things go badly between them from the start. The only good thing that is happening to Bo is his new teacher. Ms. Loupe, who is in her first year of teaching, has a tattoo and is young enough to have been taught by the principal. For Bo the best thing about her is her passion for theater. She engages the class in improv involving a beaten up couch, and Bo discovers in himself a talent for acting that previous teachers had seen as a propensity to talk and goof-off in class. His enthusiasm grows until he discovers that the big theater camp that the teacher is planning will be held next summer. He will be gone then, when his family is sent to their next military assignment, which makes Bo furious with the military lifestyle. Ms. Loupe also gets the class working on a project to send supplies to her brother, who is stationed in Afghanistan. When her brother is declared missing in action, Ms. Loupe is understandably distraught, and Bo’s whole class want to help. In the most moving part of the book Bo, his cousin Gari, Ms. Loupe’s entire class and finally the whole community find a way to work together and, if not fix the unfixable, at least make things better. In the process they learn about each other, themselves, friendship and community. In turn hilarious and heartbreaking, Operation Yes is aimed at middle grades, but has a lot to offer adults. As a librarian I love the literary profanity that the school librarian indulges in : “‘Frog and Toad!’ Miss Candy said. ‘Not again! '” or “Green Eggs and Ham!” I am doing a project on books featuring children with parents in U.S. military, and some of these books are impossible to get through without crying. Operation Yes is definitely in this category. Read it for a moving portrait of a community coming together or an accurate depiction of the military family lifestyle. Check the WRL catalog for Operation Yes. 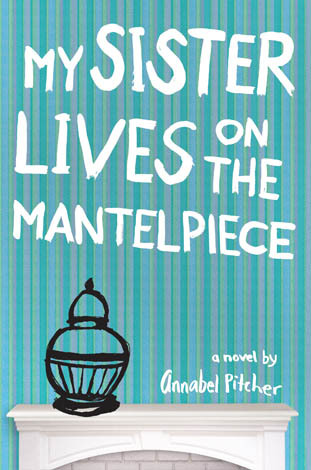 I listened to this award-winning debut novel by Annabel Pitcher and was quickly drawn into 10-year-old Jamie’s world. The story starts five years after Jamie’s sister Rose was killed in a terrorist attack in Trafalgar Square. His dad promises they are making a new start – but it’s a new start without their mother who has stayed in London to live with a man from her support group. Jamie and his big sister, Jas (Rose’s twin), have hopes that maybe it will be different in this new town. But then their dad puts the gold urn with Rose’s remains on the mantel, and they realize nothing has really changed. Jamie has quite a few typical – and not so typical – challenges to overcome as a newcomer to this small town. He has to start a new school and while it is a relief not to be identified as “poor Rose’s brother” it’s still difficult to make new friends. He doesn’t seem to fit in with anyone, except a Muslim girl named Sunya. But being friends with Sunya would make his dad mad because his dad blames all Muslims for the terrorist attack. Jamie would also have you believe he didn’t care that he hadn’t seen his mother, yet he can quickly count off how many days it had been since she walked out. And he faithfully wears the Spiderman t-shirt she gave him for his birthday every day in case she visits so she’ll see how much he loves it. You may need to have some tissues handy, but the story isn’t told in an overly sentimental manner. Coming from Jamie’s perspective you understand why losing his sister when he was five-years-old isn’t as real to him as making friends at school or making the winning goal of a soccer match. And it’s heartbreaking when Jamie finally understands the grief his parents must feel after losing Rose. I would recommend this book for all ages. While Jamie sees things in a very kid-like fashion, the issues he deals with – abandonment, loss, grief, friendship, racism, bullying – can be understood from all ages. As an adult I ached as well as rooted for him and his sister, two decent kids trying to make it without the solid support of either parent. And at the end they do seem to be in a better place. The printed book was checked out when I selected it but I absolutely loved hearing the audiobook read by Scottish actor David Tennant of Dr. Who and Harry Potter fame. Tennant did a superb job making me believe I was listening to Jamie. Piper Reed is irrepressible. In the vein of children’s literature’s girl-heroes like Ramona Quimby or Pippi Longstocking she faces life with strong opinions and some crazy ideas, but a good heart. 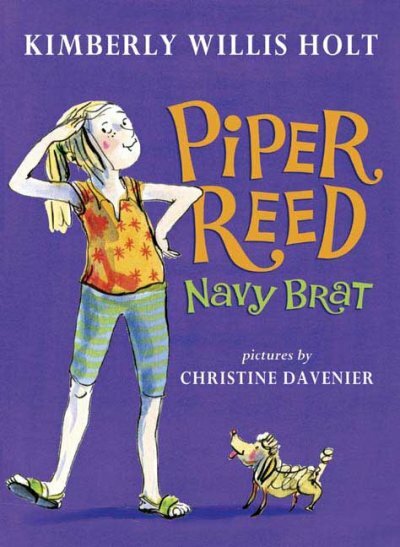 In the Navy or not, Piper finds it difficult to pack up in San Diego and drive all the way to the other side of the country to Pensacola, Florida, especially as the middle child, with an increasingly moody older sister in middle school and an annoying younger sister who considers herself a genius. When they first get to Pensacola, Piper is moved to write “My Why-I-Wish-We’d-Never-Moved List,” including things like “I had my own room in San Diego” and “I had a tree house in San Diego.” But Piper can’t be held down for long and she soon cooks up a scheme to make new friends involving her sister pretending to be a fortune-teller. As time passes she discovers the joys of Florida in the form of a new family dog, the nearby beach, and the Blue Angels demonstration planes. Piper hasn’t seen her extended family for two years, and when they visit her grandparents on their cross-country car trip, she can’t imagine living down the street from grandparents like her cousins do. Piper’s little sister, Sam, is distraught when Annie the doll is inadvertently packed in a box during the move from San Diego to Florida. The book ends as Piper’s family farewell’s her father for six-months, as he is regularly at sea for that long. If you remember Ramona Quimby fondly (she first appeared in print in 1955) then stop in to visit Piper Reed and you’ll find her just as funny and character driven as Ramona. Even if you don’t remember Ramona, read Piper Reed, Navy Brat for a portrait of a strong, resilient family weathering life’s ups and downs. If you are interested in other books about military family lifestyles, look on my website Books for Military Children.